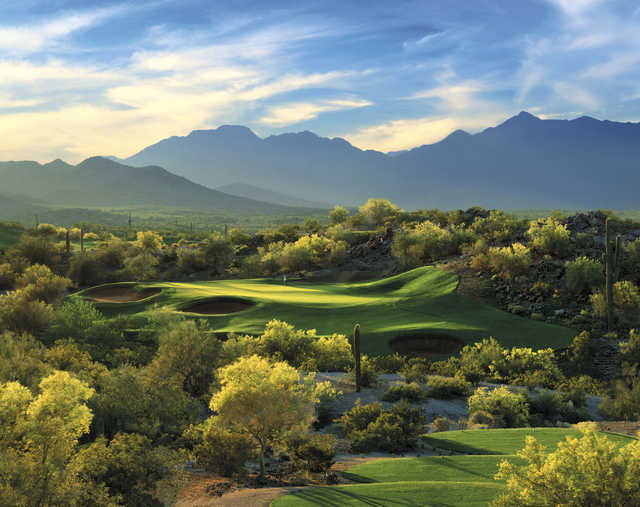 As Jack Nicklaus II's inaugural Arizona course, Golf Club of Estrella offers a classic golf experience unlike any in the area. Following in his father's legendary footsteps, Jack II's daily-fee championship course is golf in the traditional sense -- challenging yet forgiving, and always spectacular. 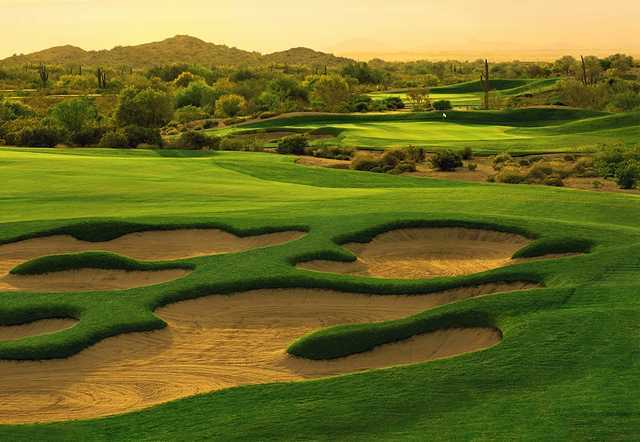 As Jack Nicklaus II's inaugural Arizona course, Golf Club of Estrella offers a classic golf experience unlike any in the area. Following in his father's legendary footsteps, Jack II's daily-fee championship course is golf in the traditional sense -- challenging yet forgiving, and always spectacular. 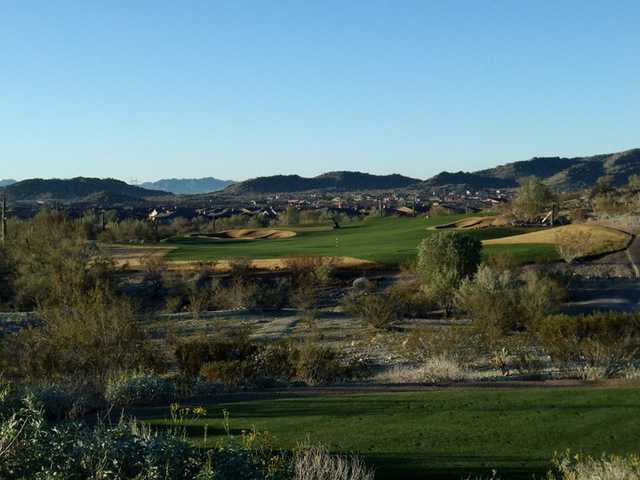 Fairways roll across the natural contours of the land, while elevated tees unveil views of the Sierra Estrella Mountains. It is a course as remarkable as its heritage. 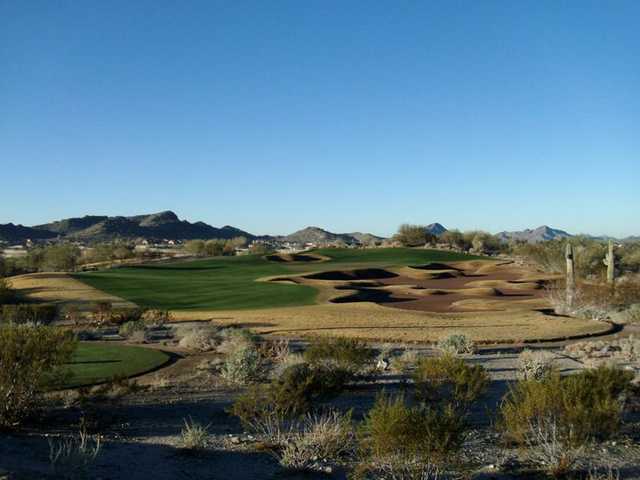 In keeping with the philosophy of Nicklaus Design, the course blends in with its environs and incorporates natural desert vegetation. 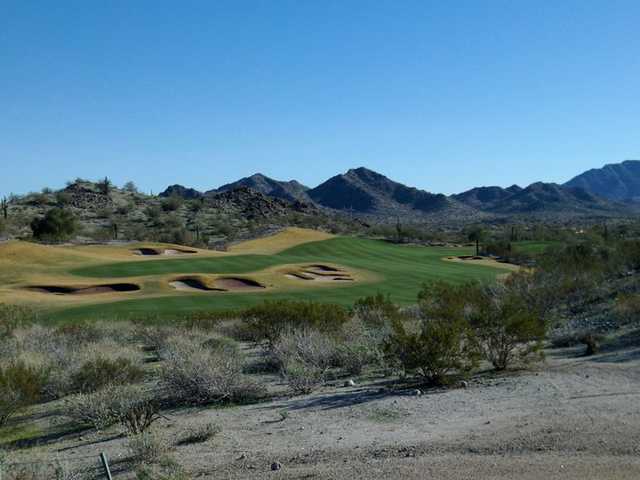 The diverse terrain of this 7,102-yard course complies with Jack II's goal of offering variety to golfers of all abilities. Hole profile from Estrella Mountain Ranch: No. 9 - "The Island"
Designed by: Jack Nicklaus, Jr. Course was in fantastic shape even though it was the end of August. There were a few brown spots but they were still grass and presented no problems playing from. Greens were excellent but very fast. Not a bad thing, just took a little getting used to. One of the best courses I've played this year.